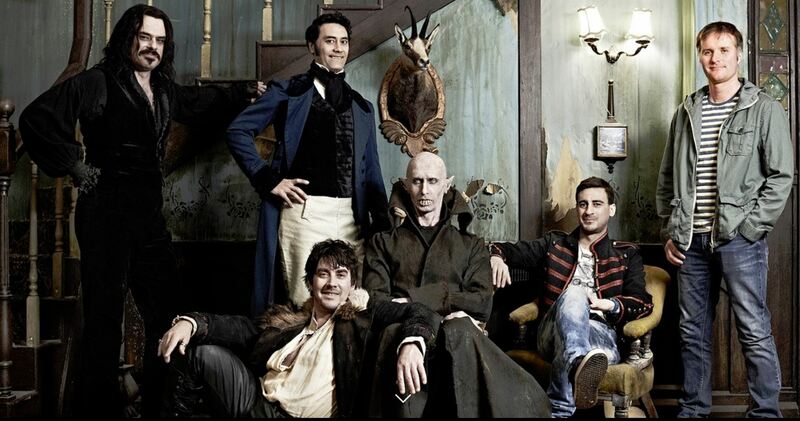 What We Do in the Shadows documents the lives of four vampires. Living a secluded life, Viago (Taika Waititi), Vladislav (Jemaine Clement), Deacon (Jonathan Brugh) and Petyr (Ben Fransham) have welcomed filmmakers into their world. Unique, innovative and uproariously funny, What We Do in the Shadows is the best film you haven’t seen. Like Frankenstein’s monster, this is a creepy mash-up of the best kind. Humour from The Office and Borat, as glances to camera and chucklesome European accents, merely tease the quality of the comedy. Mix into the stew a gory, gothic palette within a world that includes werewolves, zombies and witches and you have yourself an intelligent mockumentary that exudes a dark charm that’ll only warm your soul. Petyr’s fearsome 8000-year-old Nosferatu-guise is a perfect counterbalance to Viago’s “dandy” leader, but a new kid who joins the clan plays havoc with their centuries-old clique. This deft plotting ensures that it carries a steam that drives the picture to its final act, whereby the band of misfits attends the ‘Unholy Masquerade Ball’. Scene upon scene, What We Do in the Shadows manages to place the vampires in unexpected situations, whereby – at the very least – their Victorian dress is comically at odds with the surrounding locale. For horror enthusiasts, they stick to the rules: silver burns their skin, they must be invited in and sunlight kills. These awkward traits result in side-splitting results, leaving you assured of the inevitable cult status What We Do in the Shadows will garner.